Southwark council is due to discuss progress on its plans to build 11,000 council homes on Tuesday evening and will be considering a report by global property consultant Savills. 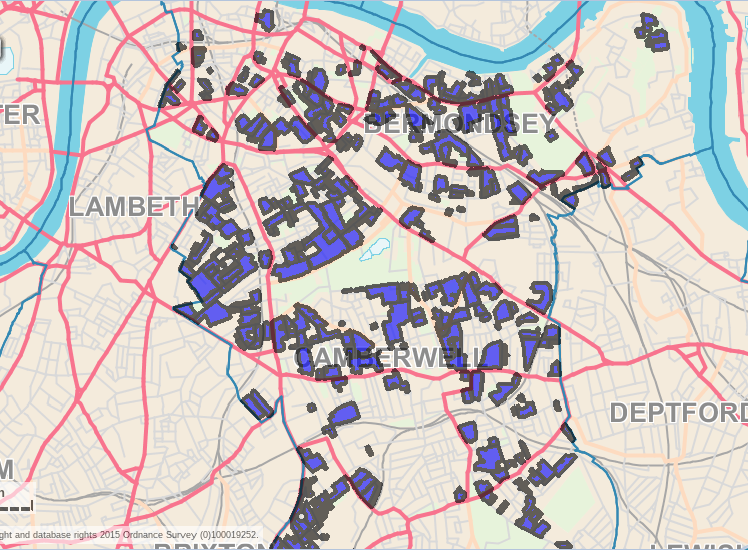 This measures the performance of all Southwark’s 406 council estates or ‘asset groups’ as Savills calls them. Savills does not use Peter John’s ‘penile drugs injection’ test as a measure of a community’s success, but its pseudo-scientific approach is not much better. It lumps together stock condition and maintenance costs with socio-economic measurements such as income levels and educational attainment, to give each council estate a rating. Savills’ two sets of measurements are described as Net Present Value (NPV - crudely: the cost of upkeep against rental income) and ‘Sustainability’, which it defines as the ‘social and economic performance of the neighbourhood’. The social and economic indicators include, amongst other things how poor people are, how healthy they are, how many are jobless, how many claim benefits and how much crime and anti-social behaviour there is. Sustainability is measured entirely in socio-economic terms; it includes no environmental factors. Those estates that are above average NPV and above average sustainability can expect ‘regular investment’. Those that have below average NPV and strong social sustainability are prescribed ‘small scale redevelopment/regeneration’ measures. Those which have above average NPV but weak social sustainability will require ‘community initiatives alongside asset investment’. Finally those which show both below average NPV and weak social sustainability will be dealt with on the ‘widest range of options possible’. Nobody can argue with investment in council estates and social housing, but the examples of Heygate and Aylesbury give us good reason to worry and Savills’ involvement is not reassuring. They were authors of a report last year that led to headlines like “Eric Pickles: Tear down estates to boost poor inner-city homes”. We also note that Cllr Peter John is of a mind that the Heygate and Aylesbury regenerations are a success and holds them up as an example for others to follow. 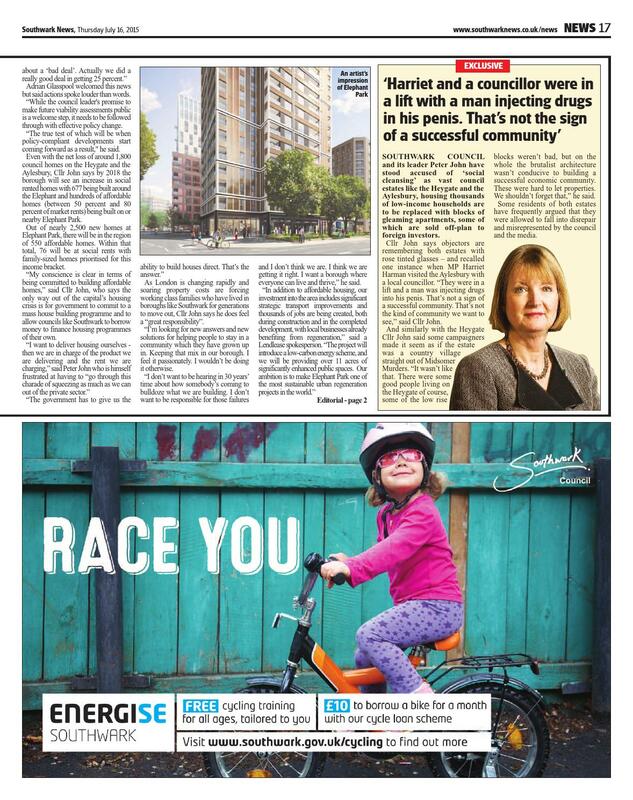 We should not accept the Savills report as any basis for estate renewal in Southwark. The whole report is set up to lead to conclusions that favour redevelopment and the displacement of local communities. Refurbishment is not mentioned when it should be the benchmark against which the cost and social impact of any redevelopment should be compared. The Cabinet should thank Savills for its report at its meeting on Tuesday, pay them, sack them and send them on their way. It should instead look to the work of University College London, which has conducted extensive research on the merits of council estate refurbishment versus demolition.